Addit machine park still grows. 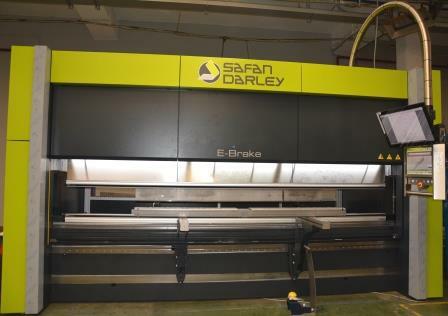 This time the bending area was enhanced with SafanDarley E-Brake 200-4100 with laser angle measurement. 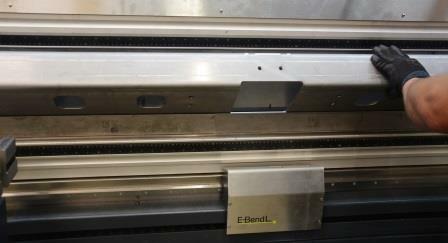 This is the first bending machine this kind in Poland. The highest level of accuracy from press brakes can only be guaranteed if you take into account the influences of the actual material. The angle may vary from the programmed value because of a variation in sheet thickness and material qualities, such as tensile strength and rolling direction. In practice, this results in a loss of time and material. The E-Bend L-blue enables continuous measurement of the product angle while bending. This involves the use of a camera with a built-in sensor, which continuously provides information about the angle of the product. This system provides major benefits for both one-off and batch production. Additionally the newest press contain independent rear bumpers, which allow to rely on the very sophisticated products design without any extra accessories. 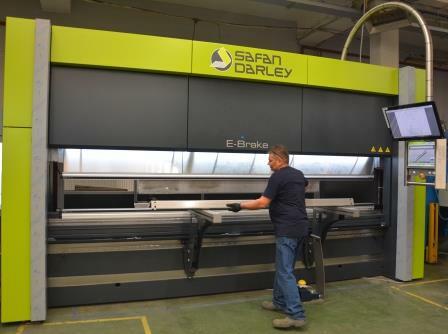 The machine is equipped with a numerically controlled lower beam, which provides ideal pressure over its entire length, making it easier and faster for the operator to set the edge of the workpiece and also two axes working independently which allow for bending even more complicated products.